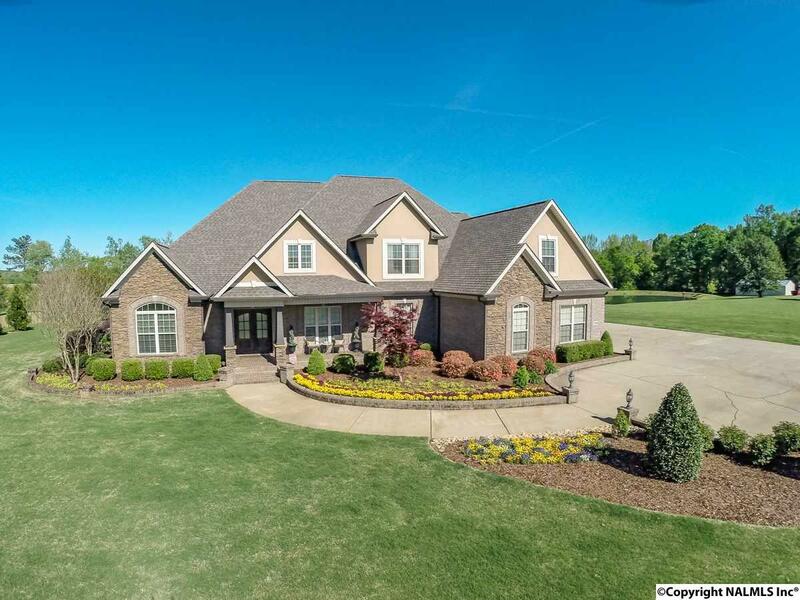 This custom built home, situated on 3 acres, is ready for new owners. Awesome open floor plan for a large family with 5 BR's, 4.5 BA's, Living Room plus Hearth Room, Study and Bonus Room. This home features 7" maple sand & finish hardwood in main area's, tile in wet area's, custom trim package throughout, custom cabinets w/ granite countertops, gas cooktop, two instant hot waters, dual fuel HVAC, L-Shaped In-ground pool with pool house with bath, storage area and large covered patio with pool area enclosed with aluminum fencing. This home has public water and a well that feeds the irrigation system to maintain the lush yard and landscaping. To many amenities to list.